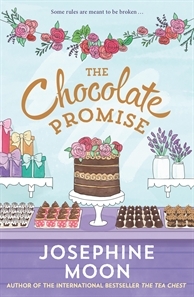 If you buy a copy of The Chocolate Promise between now and the 10th May (the day before Mother’s Day) you will go into a draw to win a fabulous box of chocolates from Chocolatier in Ivanhoe. Good Luck! First-time Australian author Josephine Moon gives us this charming novel about family, love, friendship and tea. It traces the stories of three women linked to the most delectable tea shop in London, and is a perfect read for tea-loving ladies. 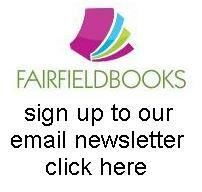 To celebrate Mother’s Day this year, Fairfield Books is holding a special raffle draw in conjunction with Fairfield tea specialists, The Inspired Occasion. Buy a copy of The Tea Chest ($30) and go in the Mothers’ Day draw to win high tea for two at The Inspired Occasion (on the other side of the train line at 75 Station St, Fairfield). The delicious prize is valued at $100, and the winner will be drawn on Saturday 10 May. Don’t let your mum (or yourself!) miss out on these tea-time goodies!